Looking for an easy, interesting and cost effective alternative to sitting in a classroom for 12 hours? 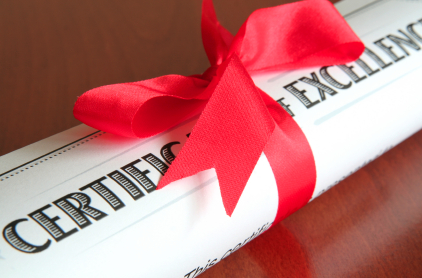 Check out Keep Me Certified, a board certified online Massachusetts real estate school. We offer the 12 hour course that you can watch from any internet connected device including your ipad and iphone. Our 12-hour course is $55 for all 12 credits. Many agents who are members of real estate associations such as the NAR, MAR, GBREB are required to complete the 2.5 hour ethics module to keep their membership active. Keepmecertified.com offers that course which also counts towards the required 12 credits. There are no quizzes or tests and students receive their certificate of completion in their email within 10 minutes of completing the course. For more information, check out our website at keepmecertified.com where you can also contact us directly. 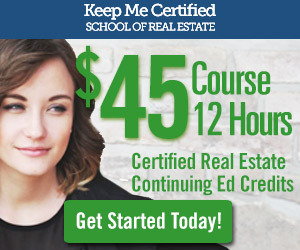 Where do I take a continuing ed course for my real estate license? Looking for a Real Estate Job in Boston? We Can Help!